Have you heard this story? When Guru Gobind Singh was 16 years old, he received an invitation from Medni Parkash, the ruler of the Nahan State, to select any place in the kingdom to settle permanently. The Guru traveled from Anandpur Sahib, got off his horse at a point along the Yamuna River, found it to his liking and stayed for more than four years. 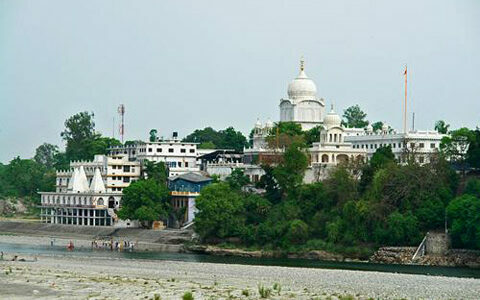 From 1685 to 1689 he built what is now Paonta Sahib. Paonta Sahib is in a green valley located below the foothills of the Himalayas, surrounded by forest. Here, Guru Gobind Singh practiced archery, trained his army, hosted poetry competitions, and wrote prolifically. His first son, Sahibzada Ajit Singh, was born here. 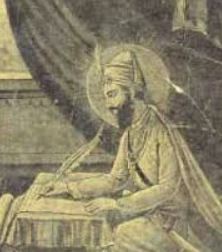 Guru Gobind Singh is well known for his support of scholarship and the arts. Every month on the full moon he hosted a Kavi Sammelan—a gathering of poets—for a competition in which poets who wrote in different languages participated. Kavi Darbar is the name given to the place where the poets assembled to write and recite their poetry. It is an open-air setting along the Yamuna River, a short walk from the Paonta Sahib Gurdwara, at a spot where the Yamuna flows fiercely and noisily. The poets complained to the Guru that the noise disturbed their study, their writing, and recitation. Guru Gobind Singh intoned the roaring Yamuna to flow smoothly, almost silently, as it courses alongside the Kavi Darbar and the Gurdwara. Even now, 330 years later, the management of the Gurdwara organizes a Kavi Sammelan on every full moon night. The Yamuna still flows quietly as it passes the Kavi Darbar, then roars up again once it has passed the Kavi Darbar. Sitting on the banks of the quiet Yamuna River, Guru Gobind Singh composed the Dasam Granth, Jaap Sahib, Bachittar Natak, the Sawayyas, and Chandi-di-Var. The pens used by Guru Gobind Singh during his time in Paonta Sahib are displayed in a museum near the Paonta Sahib Gurdwara. Years later, Guru Gobind Singh left a written account in which he described his time at Paonta Sahib as the happiest of his life. 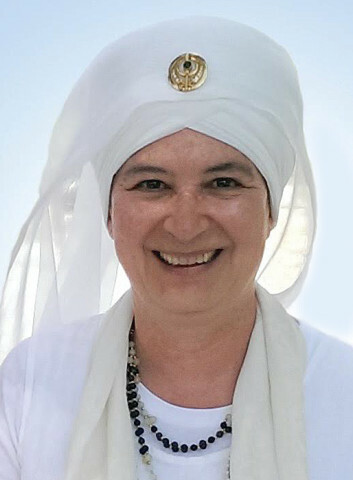 SS Dr. Shanti Shanti Kaur Khalsa was ordained as a Sikh Dharma Minister in 1973 and has served as Assistant Secretary of Religion of Sikh Dharma since 2000, supporting the Office of the Secretary of Religion in building a global grassroots Ministry. She travels and works with Ministers around the world and is a member of the Sikh Dharma Ministry Newsletter team. She is also a member of the International Khalsa Council and an Officer of the Sikh Dharma International Board. She serves as Executive Director of the Guru Ram Das Center for Medicine & Humanology, founded by the Siri Singh Sahib to bring Kundalini Yoga into healthcare. 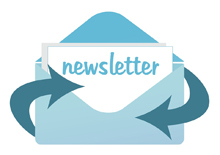 She is a charter member of the International Association of Yoga Therapists and serves on its Advisory Board.